Hey guys!  Today I’m going to talk about some of the ResLife (Residential Life) staff at Mudd. The vast majority of Mudders live on campus so the environment that Proctors (our equivalent to RA’s) and Mentors (RA underlings? I don’t have a comparison) create is important to the feel of the school overall. There will also be some discussion of PALs (peer academic liaisons), students who work for the Division of Student Affairs who act as an access point to academic resources in the dorms for all students, and also help freshmen starting at Mudd form good habits and get settled in. I’m actually a PAL for next year! 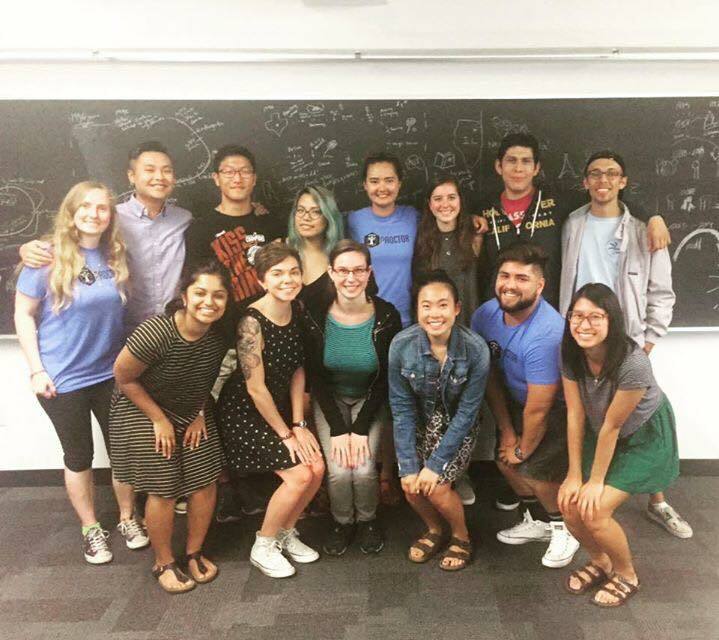 For this blog, I sat down with Kate Reed, one of my dorm proctors, to find out some more about the ResLife team! 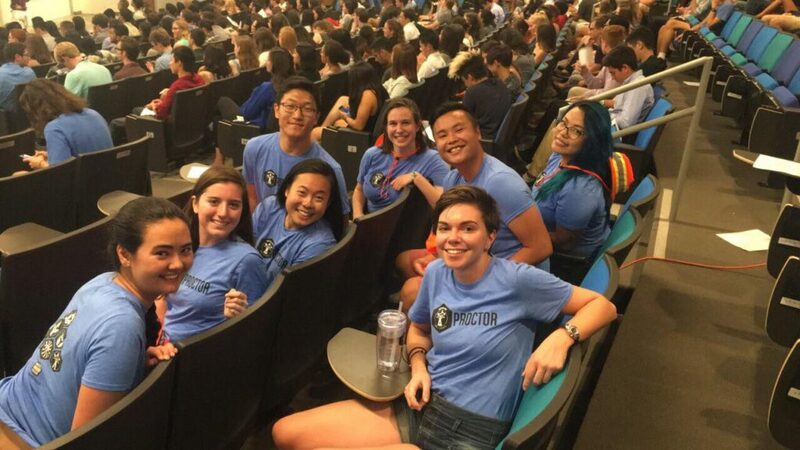 Kate is the girl with the proctor shirt, right in the middle. 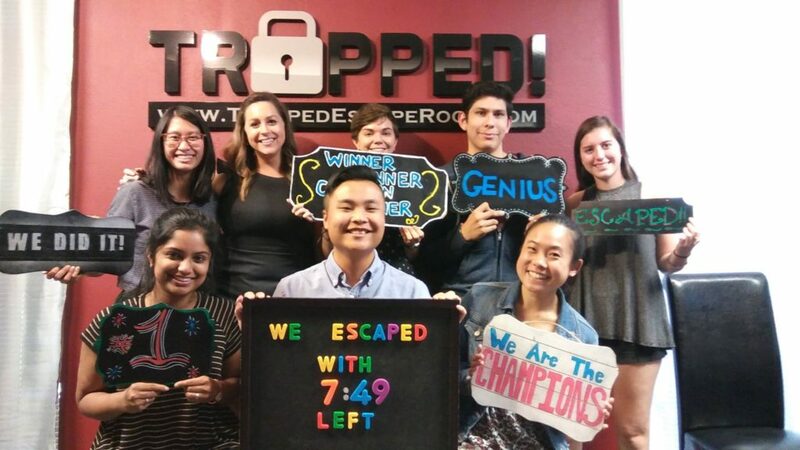 Pictured with the rest Case’s ResLife team. Me: What do you think differentiates the proctor role from the traditional RA role? Kate: Well, I think that being a proctor at Mudd is less oriented towards rule enforcement like the RA role is at some other colleges. I mean, proctors do enforce rules and policies, keep people safe, but we don’t go around looking for ways to bust people or get people in trouble. It’s intended as more of a community-building role, and also a resource that feels safe for students where they’re in trouble. So being able to help people without them being worried that they’re going to get in trouble for having a problem. Proctors also have to be seniors, where I think a lot of school’s RA’s can be sophomores or over. I think there’s a benefit to that in that seniors have had more time to figure out their lives here. And also there often just a little less overwhelmed sometimes. So they’re in a position to really be able to mentor people and spend time with them, which is overall a benefit. Me: Why did you become a proctor? Kate: Well, I was a mentor for two years before becoming a proctor. And I think the proctors that I worked with, and the proctors that I had freshman year had a pretty big impact, with role modeling, and helping people in all kinds of distress. I thought “That seems cool”, and maybe like something I could do. The full proctor team for this year! Me: What’s your favorite part of being a proctor? Kate: There are a lot of good things. I mean, getting frosh is always fun. Fresh faces, and welcoming them to Mudd. So orientation and all that stuff I really enjoyed. But also being on a team with all of the other proctors was pretty cool. I’ve gotten to know a bunch of people a lot better than I did before, and we have a good team dynamic, where it’s fun, but also supportive. People who understand the challenges of being a proctor, and can support each other. That’s been enjoyable, and I feel like I acquired friends. Me: Do you think there’s anything the school should change about the proctor role? Kate: I don’t know if the school should necessarily change it, but it’s common for RA’s at other schools to get full room and board, but it’s only partial for proctors at Mudd, so it’s just like… I don’t know. It’s just been definitely worth it for me, so I’m not resentful about that, but you know, in a perfect world. And also, the mentors don’t get paid at all, and they do a lot of work. 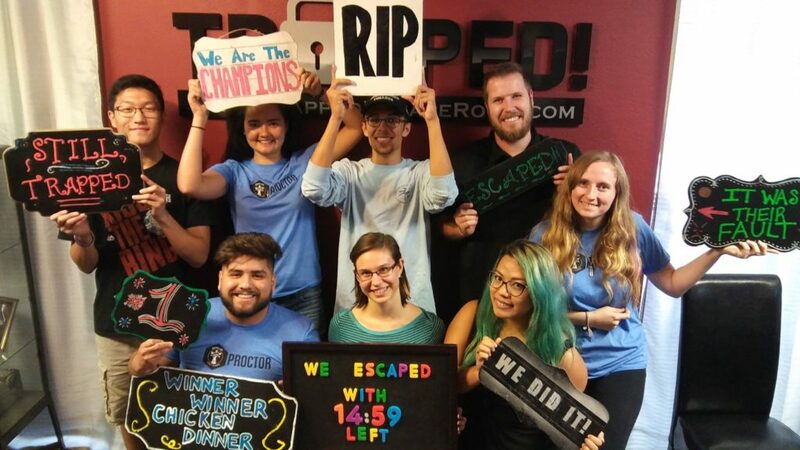 Proctors do cool stuff to bond with each other, like go to escape rooms! Me: What kind of work do the mentors do? Kate: The mentors do a lot of work planning and running events in the dorm. That’s probably the bulk of their time. But they also spend time getting to know people in the dorm. 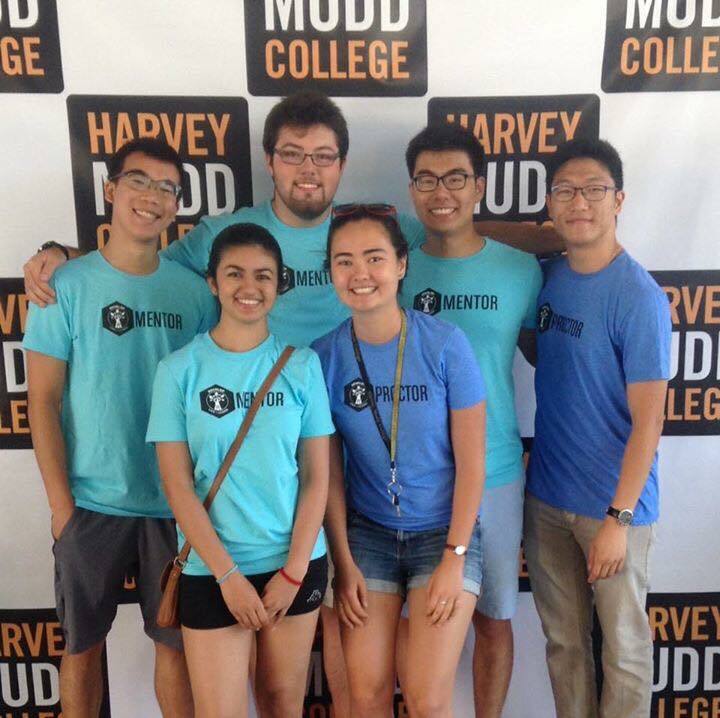 For instance, this year our mentors have been having individual check-in meetings with all of the frosh. They did a whole set in the fall, and they’re doing another set now, just to see how things are going, and try to remind people as much as possible that we’re around, and we’re a resource available to help them with all kinds of different things. Me: Do you have any thoughts on the school trying to get PALs more involved in the dorms, and doing more checkups? Me: As a PAL for next year, I know we’re going to be doing 2 or 3 check-ins over the year as opposed to the 1 that I think they do now. We’re also going to try to do academic events at the dorm. We’re also going to work together, and try to talk to proctors to figure out our role in that space. Kate: I feel like currently the PALs are encouraged to work with the ResLife team, but as is there isn’t actually very much interaction between ResLife and PALs. If there was actual collaboration that felt like it was sticking in a meaningful way, that would be cool.